You may have been told that the only way to avoid bad breath is to shun all the foods you love. The truth is that if you eat foods like garlic, onions and curry, the odorous chemicals will be absorbed on your tongue and in the tissues of your mouth and come out in your breath. The good news is – not for long. The real key to maintaining fresh breath is what you do AFTER you eat these foods. In this article I’ve revealed two ways to use my Beating Bad Breath Protocol for situations just like these. And for those who may already have chronic bad breath, the third method will assure fresh breath, no matter what you eat. 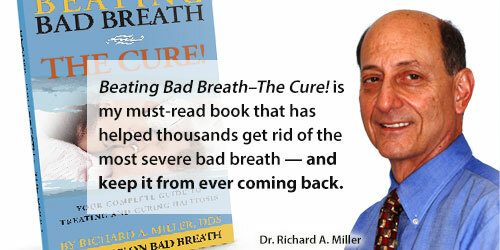 What is the Beating Bad Breath Protocol? 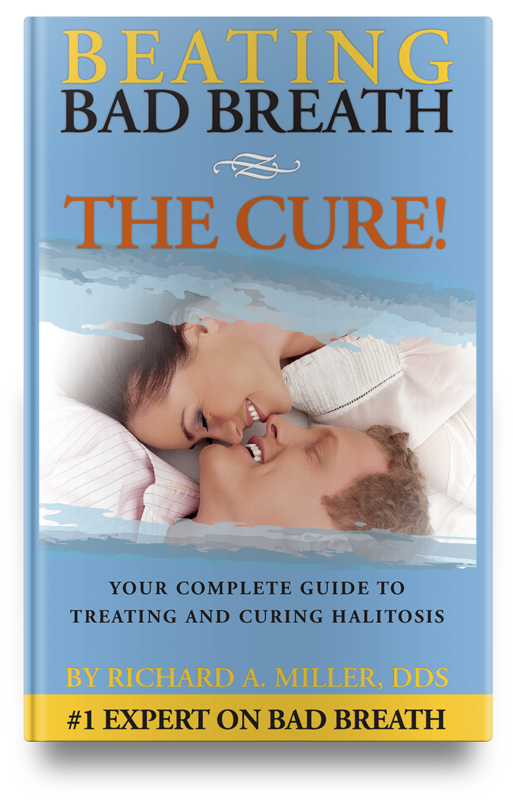 The Protocol is a complete do-it-yourself technique for chronic halitosis. It was designed with 20+ years of research to give individuals with chronic bad breath a method for self-treatment if they cannot have the professional, clinical TOTAL CURE. By using the Supreme Breath® products, the Beating Bad Breath Protocol, includes all the oral hygiene techniques you need to manage bad breath. Read more about it here. Use a specially formulated rinse to eradicate bacteria and odor compounds. Using the convenient, take-anywhere Confidence Pump, you can pump the Supreme Breath Tru-ACTIVE ClO2 into your mouth 4-8 times, enough to adequately rinse with, and swish in your mouth for a couple of minutes Simple and easy. Scrub your tongue and rinse your mouth with the specially formulated odor and bacteria killer. This has a double-punch effect. While this uses a bit more product, depending on the social situation you find yourself in, it may be worth it. (As a professional with a reputation to maintain, this is my preferred technique as I am fond of garlic and other spicy foods.) Using the Confidence Pump and a few gauze, saturate the gauze with the Supreme Breath Tru-ACTIVE ClO2 solution, mix into the gauze thoroughly using your fingers and proceed to scrub your tongue with each gauze. Remember to use both sides of each gauze. Finally, use the Supreme Breath rinse to swish with. The odor and bacteria killing rinse will neutralize the newer odor compounds first, especially if used as soon as possible after eating. While the above two techniques will help you manage your breath, let me also remind you of something important. If you already have chronic bad breath, adding odorous compounds like onions and garlic will not only make it worse, but it will penetrate into the depths of the existing coatings (biofilms) and add to the volatile sulphur compounds at the deepest layers. That is why the TOTAL CURE may be necessary to become “immune” from these outside odors. When there is no coating, as is the result with the professional treatment, odorous foods have a lot less influence over your breath.